The ‘Veera’ roof thatching solution of Idea Group has been revamped for the benefit of customers. ‘Veera’ roofing product can now be obtained at any length by the customers. The product was revamped to heed to requests by customers. ‘Veera’ products can now be obtained from any hardware shop in the country. The price for one foot is Rs. 98. Idea Group of Companies that offered Sri Lankan consumers revolutionary, environmental friendly roofing products unveiled its newest innovative roofing product branded as ‘Veera’, at the ‘Construction 2018’ trade exhibition held at the Sirimavo Bandaranaike hall recently. ‘Veera’ with the pay off line, ‘Absolutely Safe’ is a 100% Sri Lankan product that perfectly blends with diverse climatic conditions in the country. ‘Veera’ became a household name soon after its launch since its attributes surpass that of other products in the marketplace. The product has guaranteed safety attributes and durability. The outer layer of ‘Veera’ sheet is made with ASA (Acrylonitrile Styrene Acrylate) that offers heavy resistance to sunlight and maintains coolness inside the house. Since ‘Veera’ can now be obtained at any preferred length, it would bring a better finish to any roof. Overlapping is not needed now when thatching a roof with ‘Veera’, thus the roof is better protected to stop seeping of water. ‘Veera’ roofing sheet does not contain attributes that stimulate cancer and also doesn’t contain Lead (Pb) thus consumers can confidently use ‘Veera’ for houses they build for them and their loved ones. ‘Veera’ is ideal for any climatic condition. It does not contain Iron elements hence it is rust-free and can be used by customers who live in coastal areas and areas that experience frequent rain. Households using Veera roofing product will experience lesser sound when raining. ‘Veera’ products can be obtained in Brick Red, Dark Brown and Dark Green colours. No repainting is needed. ‘Veera’ roofing solutions is endowed with the ISO 9001:2015 international standard certification. A square foot of’ Veera’ roofing product could bear a weight of 200 Kilograms. Idea Group of Companies introduces 100% Sri Lankan manufactured products to the marketplace. 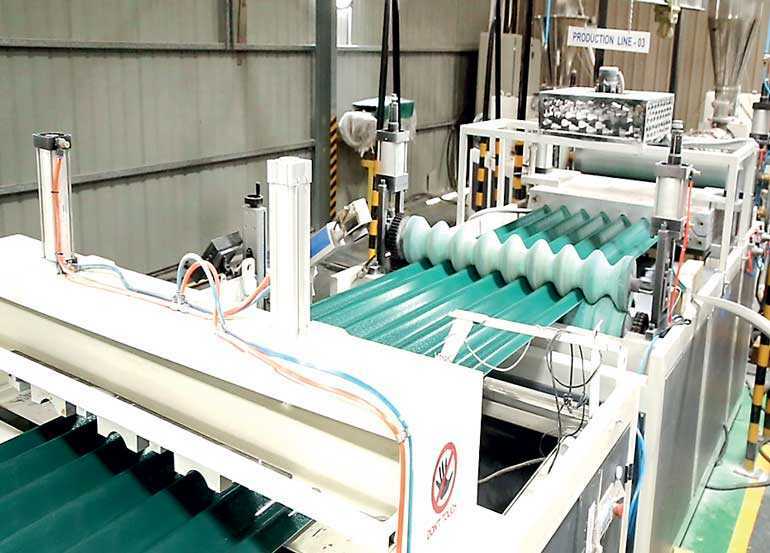 Consumers in any economic background could benefit from its Green-oriented roofing products. Idea Group having over 400 SIVILIMA and SIYANA showrooms throughout the island is the Sri Lankan company that has largest network of branches that cater to people of diverse social status. Idea Group that offers a total solution for roofs and interiors of houses and buildings is a diversified entity dealing also in hospitality trade and construction and Information Technology spheres in this country.